Agency service, how we understand it, represents a complex of services for an optimum staying of a vessel at port and non-expensive in respect of expenses/times. We hope this simple idea attracts shipowners which don’t mind to address to us also in future. We successfully realize this concept from the moment of the company’s foundation and we consider, that there are developed by us certain traditions, well proved among many ship-owners. According usual marine practice the agent always was and he always remains the principal of the ship-owner, i.e. he (agent) acts on behalf and name of shipowner and protects as much as possible interests of owner at the port on the lawful base. Despite the present heavy competitive conditions at port Yeisk when frequently the agent is imposed to the ship-owner by charterer (shipper/receiver), we are sincerely glad, that many ship-owners don’t hold this opinion. We often render to our constant clients full personal help/support beyond the usual agency contract, what is strengthening the tandem positions at port and as a result are favorable to both parties involved. 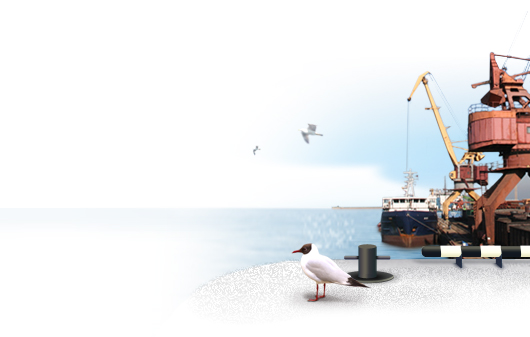 Our company serves annually about 150-300 vessels at port Yeisk. Also similar quantity of ships successfully carries out transit of the Kerch channel, arranged by experts of our agency department. We are ready to offer calculation of a competitive pro-forma d/a for a favorable staying of your vessel at port Yeisk or for performing transit of the Kerch channel. For all questions about the agency service, please, contact experts of agency department.